From now on, I’ll be updating every Saturday with fun and exciting internship stories…but until then, why not a little recap? My very first day at Enhance Medical Center was definitely the most daunting. Sharon, the nurse, gave me a friendly tour of the clinic and started me on the “easy” stuff. Basically, I cleaned and set up rooms after each patient left, wrote thank you cards, and shadowed Dr. Lee. The last one was definitely the most exciting. I became quite amazing at cleaning rooms, if I do say so myself. Even though all I had to do was replace the disposable paper sheets on the chairs and make sure the counter was clear…hehe. The hardest part was ripping that annoying little roll of paper. Ok. So, it’s not supposed to be that hard. I’m just not endowed with paper-ripping skills. They definitely didn’t make me rip those. But you get the idea. 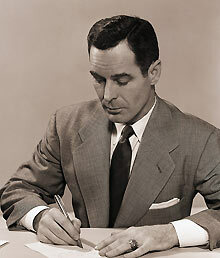 Writing thank you notes was an easier, though tedious endeavor. I thought they were super sincere gestures; and although I wrote so many, I literally memorized the message word by word, they definitely gave me a good impression of the clinic. Handwritten thank you cards? I mean, that’s pretty intense. I loved it. The best part of it all was shadowing Dr. Lee. Honestly, before interning here, I had absolutely no idea how plastic surgery worked, how people looked after the procedure, etc. The workings of plastic surgery in my mind was merely a vague jumble of syringes and nose jobs and botox-crazy women on reality shows I never even watched. That first time seeing someone right after plastic surgery popped my bubble. I guess I assumed everyone was super pretty and attractive as soon as they left the doctor the day of their surgery. God. I couldn’t have been more wrong. I remember seeing a lady with a face so swollen I could hardly imagine what she actually looked like. Chipmunk cheeks pressing against puffy, red eyes, she smiled as Dr. Lee introduced me as his intern. I tried to maintain my composure, but inside my head, I was shocked. This woman got plastic surgery? This is what people look like…afterwards? How does she even go around? How long until she looks…human? I was shocked. Not repulsed or revolted, just terribly surprised and terribly curious. It’s funny how utterly clueless I was (and still am, I assure you). I had (…and still have) a lot to learn. I returned home that day full of wonder and excitement. It sounds cheesy, but honestly, that’s the best way I can think of to describe my mood. If I could learn so much in just one day, I thought, how much could I learn in a week, a month, a year? That tremulous excitement, more than anything, was how I knew just how perfect this job was for me. Sounds like you’ve got yourself quite the internship.